"Dirt Clod" uncleaned Roman coins. Probably bronze ancient Roman imperial coins dating from the 1st to 4th centuries AD. All coins guaranteed authentic. These coins have ALMOST NO DETAIL whatsoever showing and are completely covered in dirt and hard deposits. 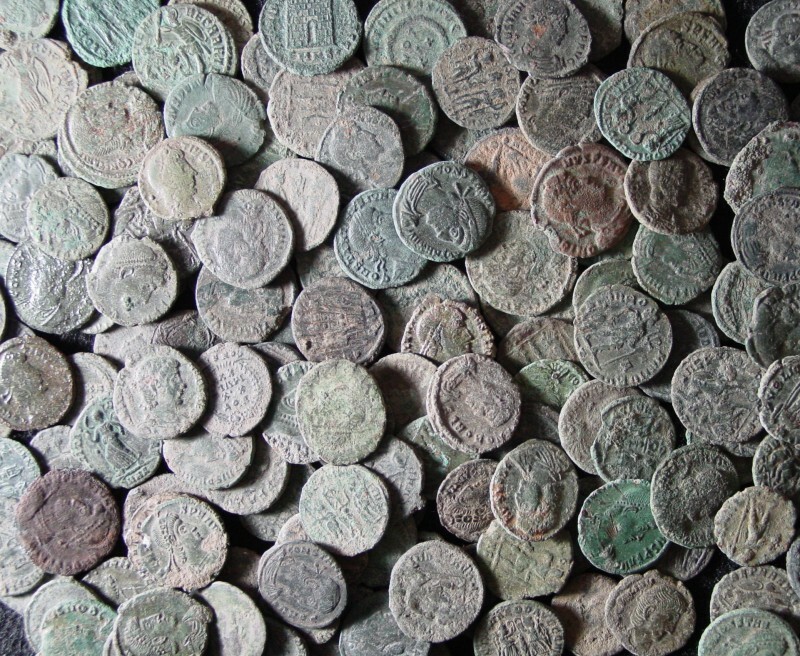 All the coins came in a large lot of uncleaned Roman imperial coins dug in Eastern Europe. If you like completely crusty coins, now is your chance. Price is per coin. Coins range in size from 25mm to 30mm (AE1) with an average weight of 8.5gm.